Picking your wedding gown can be a beautiful experience to be shared with your close family and friends. It is something many women have been looking forward to for most of their lives. This dress will be in all of your photos and be a treasured gift and memory for the rest of your life. But once you actually get to the salon, it can be a highly stressful and overwhelming experience. There are so many options and styles to pick from! This is why we have created a guide to all of the silhouettes. Get an idea of what you like and what will look good for you before you go! This is a classic silhouette that is extremely flattering on every body type. They tend to have fitted bodices that gently flare out at the waist. This creates the shape of a capital A, hence the name. This is perfect for the traditional bride and a more simple look. This is a very classy silhouette that looks great on women who are slim or curvy and comfortable with their bodies. This style skims the lines if your body and makes women appear taller. 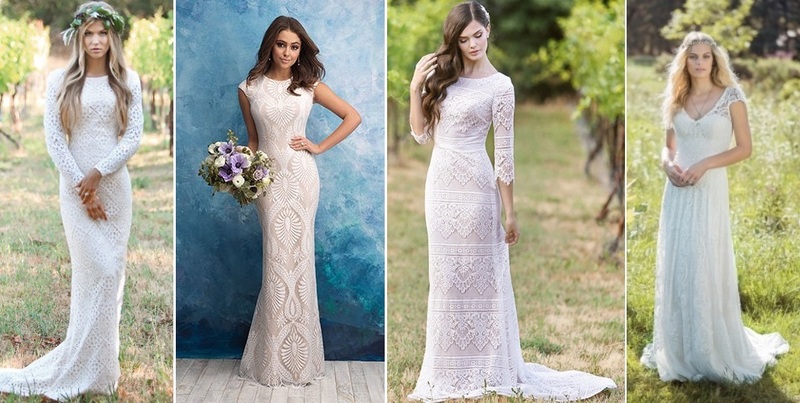 It’s perfect for a petite girl who wants to elongate their body for the big day. 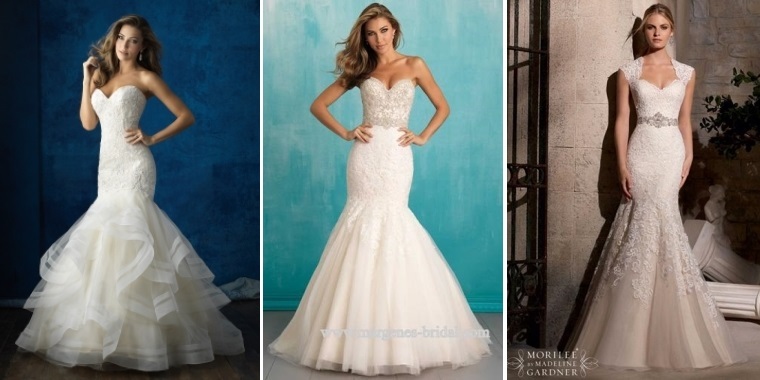 The mermaid gown has become increasingly popular in the last decade. It is a very dramatic silhouette that shows off all your curves. The dresses are tight through the bodice all the way down to the knees. At the knees, it flairs out, creating the look of a mermaid tail. Trumpet style dresses are tight fitting through the mid-thigh, where it flares out. The flare can be gentle or dramatic. It is often confused with the mermaid style. However, this flaunts your curves but also gives you more room. It gives you a similar look, but leaves more space near your knees to move. If you are an nontraditional bride, this could be the look for you! 2 piece dresses are very trendy and cool. They can have classic cuts, but the strip of midriff adds some flavor. This is perfect for a bride who wants to be unique and show a little more skin.